Motorbike Rental and Hire, Sri Lanka. Motorcycle rental service is provided by us in Sri Lanka. 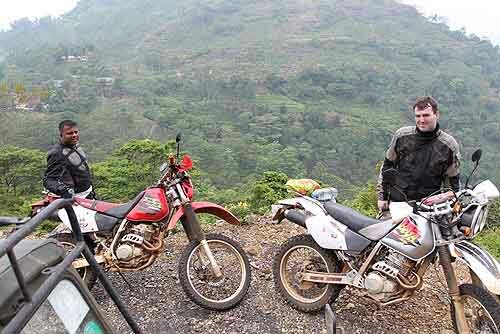 Our Motorbike rental service is well recommended by foreign tourist who had explored the Island with our motorbikes. Rent a Motorcycle facility is available on daily rental basis for self-drive from Negombo, Colombo, Kandy or in Galle. Give us a call we will give all the necessary information on rental facility. Of you must be an experienced rider and must have your own country driver permit. Send us your request by using the form on the left side of this page or send email or call us through our phone to reserve Motorbike. You can find village home stay with us to enjoy the beautiful village life style. Check here. Our motorcycles are well maintained by our team of mechanics for trouble less, tours. They are fitted with good tyre, battery, brake system and filled with proper amount of engine oil and brake fluid. Self driving on a motorcycle is the best idea to explore Sri Lanka. We are the best to provide them at affordable rental with less paper work in quick time. Japanese and India motorbikes including super motorcycles, Motocross and latest Japanese Scooters are available from us. We will assist you to get local driver permit, if you have International or your home country driving license. You can send the details to prepare for to get the local temporasry one in quick time. If you are group riders, then inform us to hire local guide and backup team with jeep from us. When renting Motorcycle from us, we will provide the following. 24 hours Emergency Road Assistance. Road map or advice on GPRS connection. GoPro Devices available on daily rental Basis. 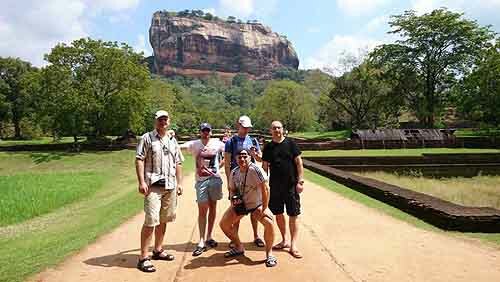 Ceylontusker Tours is located 15 minutes drive from the Colombo airport. We provide Motorcycle Tours and Rentals. Also we provide vehicle Tours and car rental. Need airport transport on your arrival, we will provide it for a small fee. Already arrived in Sri Lanka? Give us a call from your hotel and we will bring the motorbike that you want. Keep everything ready for quick hand over for a small fee. Why you must select Sri Lanka as a destination to ride motorcycle? Fuel stations available all over the country. Mobile communication and mobile data are at their best all over the island. Well constructed road network with proper sign boards. On the roads you can find Bakery shops with hygienic bakery food, mineral water and soft drinks like Coca Cola. Hotels, motels and guest houses are available at affordable price. Most of them offer Bed and Breakfast. Other than this everywhere you travel, you can meet lot of friendly people who like to try their English. Ceylontusker Tours is owned by Mr. Dayan Chinthaka (chinthka3624@gmail.com).